In Greece, butchers use the French style of cutting meat, and ribeyes are cut with the bone in, but boneless ribeyes work equally well. The Greek streak recipe calls for a traditional beef marinade, and an oil and lemon basting sauce. Whether cooking steak ​on the grill or grilled in the oven, this is an easy and delicious dish. Combined with the perfect Greek steak marinade, this recipe is a keeper! Don't forget to try another Greek bone in rib-eye recipe and learn how to cook it properly -- every time! Combine salt, pepper, and oregano in a small bowl. Whisk together the oil and wine and add to spices. Rub steaks on both sides with the mixture and place in a single layer in a shallow pan. 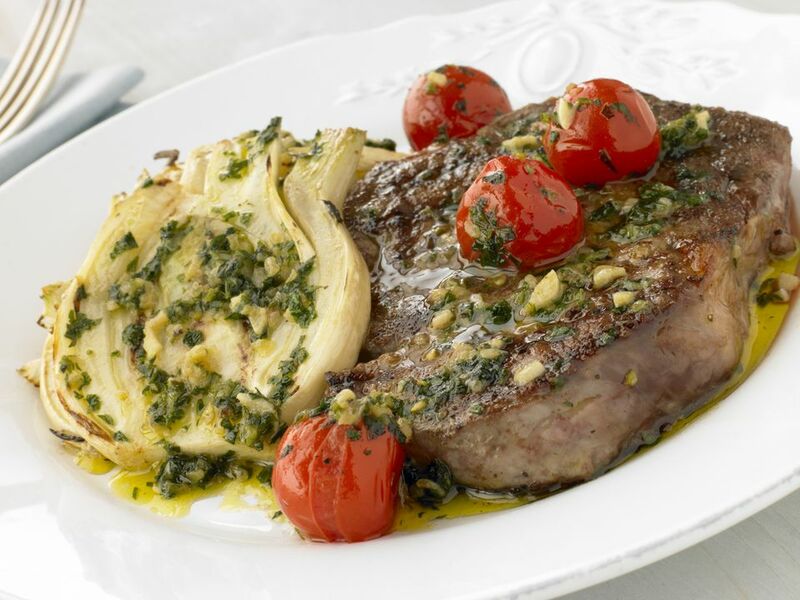 Mix 3 tablespoons of olive oil with the lemon juice or zest and brush the steaks just before cooking. Grill to taste over hot coals (or on indoor grill) and brush with oil and lemon mixture a couple of times while cooking.